Before she was indicted, Devyani was accorded full diplomatic immunity. 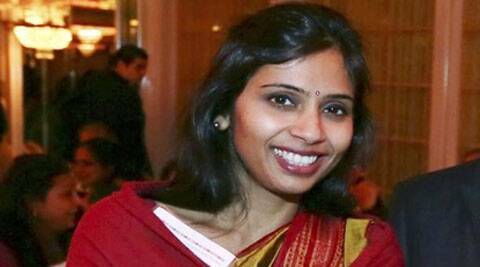 The immediate crisis over the indictment of Indian diplomat Devyani Khobragade in a US court over visa fraud seems to have been resolved with the official being granted full immunity after he transfer to the permanent Indian mission to the United Nations in New York. The diplomat is on her way to India now, having being transferred to the Ministry of External Affairs by the government but will still face criminal charges in the US if she returns without any diplomatic immunity. The MEA has said that the official was granted diplomatic accreditation (G-1 visa) from the US state department following her transfer to the United Nations. This happened even as he was indicted in the US court for visa charges. Following the indictment, the US government formally requested the Government of India to waive the immunity of Counsellor Khobragade. This was declined by India and Khobragade was assigned to the Ministry of External Affairs in New Delhi with immediate effect. “At the time of her departure for India, Counsellor Khobragade reiterated her innocence on charges filed against her. She affirmed her gratitude to the Government of India, in particular to the External Affairs Minister, and the people of India, as also the media, for their strong and sustained support during this period,” the MEA has stated. Though the step gave a resolution to the immediate crisis, the diplomat would still have to face charges anytime she enters the US on a non immunity status. It may be noted that her husband is a US national. “She also affirmed (before departure) her determination to ensure that the episode would not leave a lasting impact on her family, in particular, her children, who are still in the United States,” the MEA statement read. However, as reported by the Indian Express, the facilitation of Khobragade’s unimpeded re-entry into the US was not a priority as much as ensuring diplomatic accreditation (G-1 visa) from the US state department following her transfer to the United Nations. Over the past few weeks, South Block has planned an executed a range of measures targeting US diplomats in India. Starting with simpler steps like stripping some diplomatic privileges to preparing grounds for serious legal action, all options were explored.